With the Best of Home Care® awards and Home Care Pulse Certified – Trusted Provider™, you can make your home care business stand out to referral sources and those looking for quality care. Best of Home Care Awards are based on satisfaction scores gathered from your clients and caregivers. These awards distinguish your business from the competition and provide evidence that you provide quality care. As a home care business enrolled in our Satisfaction Management Program with monthly client satisfaction interviews, you will earn this title and certification as proof of quality client care one month after starting services. This remains in effect as long as you continue our Client Satisfaction Program. You’ll receive a certificate that you can proudly put on display. By doing so you show proof that you are committed to providing quality care, and that you highly value the satisfaction of your clients and caregivers. We’ll also provide you with tools and resources such as Trusted Provider image files for use in your marketing and on your website, press release templates, the Home Care Pulse Certified – Trusted Provider Fact Sheet, and a listing on BestofHomeCare.com to showcase your business where many are searching for quality care. Provide your referral sources with third-party client satisfaction reports. List your business on bestofhomecare.com where thousands of potential consumers are searching for home care. Provide consumers and your employees proof that you care about quality. Achieve the top 50th percentile in two or more client satisfaction categories for your region. See below for regions and categories. We’ll provide you with tools and resources to make it easy for you to market your business with your Best of Home Care – Provider of Choice award. Download image files for creating marketing materials and showcasing your achievement on your website/social media. Download tools like the Fact Sheet for marketing to referral sources. 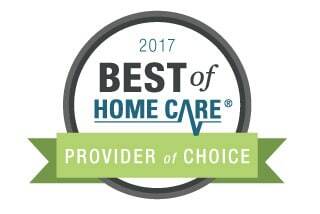 Showcase your award on your BestofHomeCare.com listing. Be listed on homecarepulse.com as an award winner. 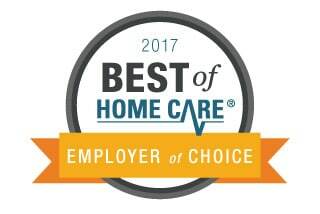 The Best of Home Care – Employer of Choice award signifies that you have gone the extra mile to make sure your caregivers are satisfied with their jobs. This annual award is based on the results of your caregiver satisfaction interviews. Earning this award proves to potential new hires, clients, and anyone who sees it that you are a reputable employer. Have at least 10% of caregivers interviewed monthly. Achieve the top 50th percentile in two or more caregiver satisfaction categories for your region. See below for regions and categories. We’ll provide you with tools and resources to make it easy for you to market your business using your Best of Home Care – Employer of Choice award. 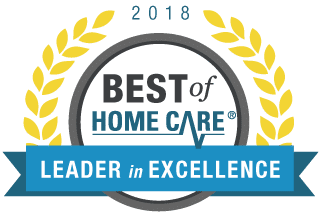 The Best of Home Care – Leader in Excellence award is the highest achievement a home care business can receive from Home Care Pulse. With this powerful title and an impressive trophy, you can prove that your business has reached the highest standard of excellence in home care. 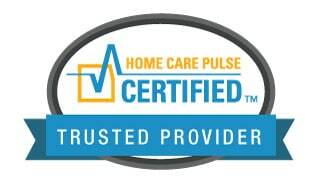 Be a Home Care Pulse Certified business for a minimum of 12 consecutive months. We’ll provide you with tools and resources to make it easy for you to market your business with your Best of Home Care – Leader in Excellence award. Be listed on homecarepulse.com as one of the select few Leader in Excellence Award winners. Earning a Best of Home Care Award also means earning trust from potential clients and your referral sources. Prove that your provide quality in-home care. Schedule a demo to speak to an expert from our team about getting started with Satisfaction Management and start earning awards now. The reports and tools from Home Care Pulse are extremely valuable for our business. I share the results with new prospects that want PROOF of quality. I tell them that many companies talk about quality, but how do you as a consumer really know? It has become an important sales tool in our initial visits. The level of detail our customers are willing to share with Home Care Pulse has revealed blind spots in our quality that we would not have otherwise uncovered. The feedback we receive each month is timely and extremely helpful to us. I’m impressed with how clients and their family members will open up to Home Care Pulse and let them know things that we wouldn’t otherwise hear. We love the detail and the reports. These guys are top-notch!